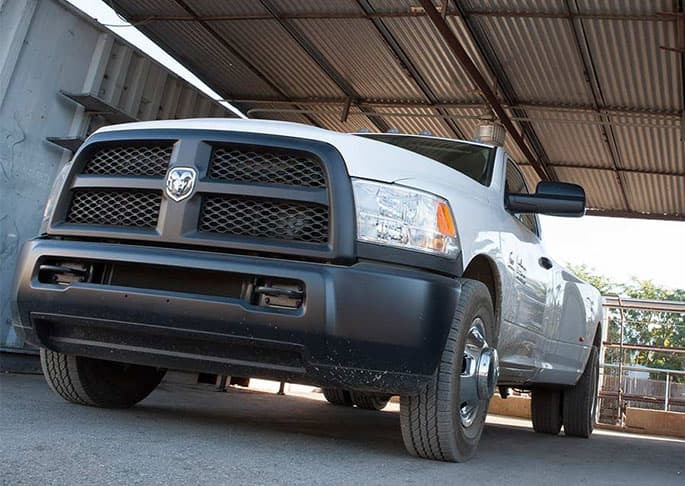 The 2015 RAM 3500 is a pick-up truck bound to meet your cargo-transporting needs. It is excellent for grounds and construction work because it has a 115V outlet. With an anti-theft system, it is the choice for many who can't be near their vehicles while working. The 2015 RAM 3500 has many available trims, which include Tradesman, SLT, Big Horn, Laramie, Laramie Longhorn and Laramie Limited. A wide color selection makes it easy to make the truck unique for the owner's taste. An optional Snow Chief Package is available if one is planning on traveling to snowy areas. 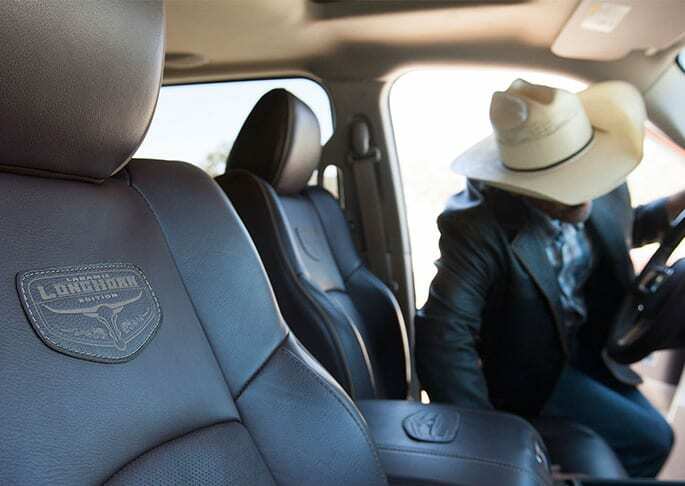 The 2015 RAM 3500 can deliver up to 865 lb-ft diesel torque, and there are three available engines: the 5.7 HEMI® V8 with Variable Valve Timing and good airflow, the 6.4 HEMI® V8 that saves fuel and money for the driver, and the 6.7L CUMMINS® that delivers the greatest torque and can travel up to 15,000 miles without an oil change. This working truck boasts a 50 KSI steel frame for safer towing. The 2015 RAM 3500 has a payload of up to 7,390 pounds, and tows up to 30,000 pounds to make itself an ultimate hauling leader. Two- and four-wheel drive models are available. The vehicles have three-link front suspension that gives the occupants a more comfortable ride while hauling extremely heavy loads, and is available for both two and four-wheel drive models. Standard leather steering wheels and fog lamps. WiFi is available. The driver can keep an eye on items in the pick-up with an available cargo-view camera. As mentioned, all models have fog lamps to help the driver in less-than-ideal weather. Power side mirrors give the driver a good view of the road and defrost without operator intervention. A Parkview® rear back-up camera is available, and gives drivers a crystal view of what is behind them. Electronic Stability Control (ESC) has ABS brakes, a stability system, and All-Speed traction control to help the operator better drive on different terrain types. This just may be the pick-up truck for somebody who needs a vehicle for the outdoors or for heavy towing.